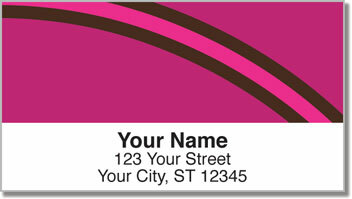 If you can't resist the captivating colors and sleek line work of our Curved Line Address Labels, you're not alone. 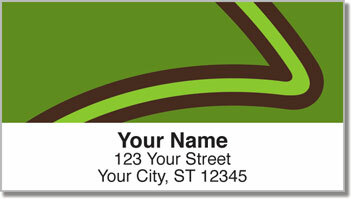 This simple yet dramatic design is quickly becoming a favorite among new and existing customers alike. The gently curved and sloping lines create a sense of sweeping movement. With your name and address emblazoned below, these labels say that you are, like your letters and packages, really going places! 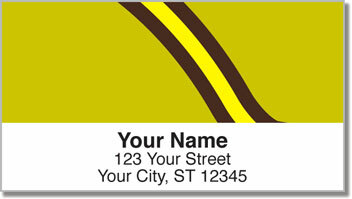 But these labels aren't just for your mail. They are also extremely handy for identifying personal items as belonging to you-items like books and video games, for example. 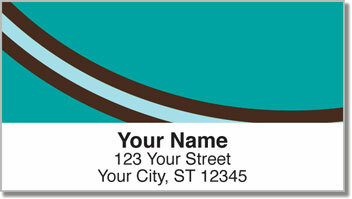 There's no reason to delay-make Curved Line Address Labels and matching Curved Line Personal Checks yours today!